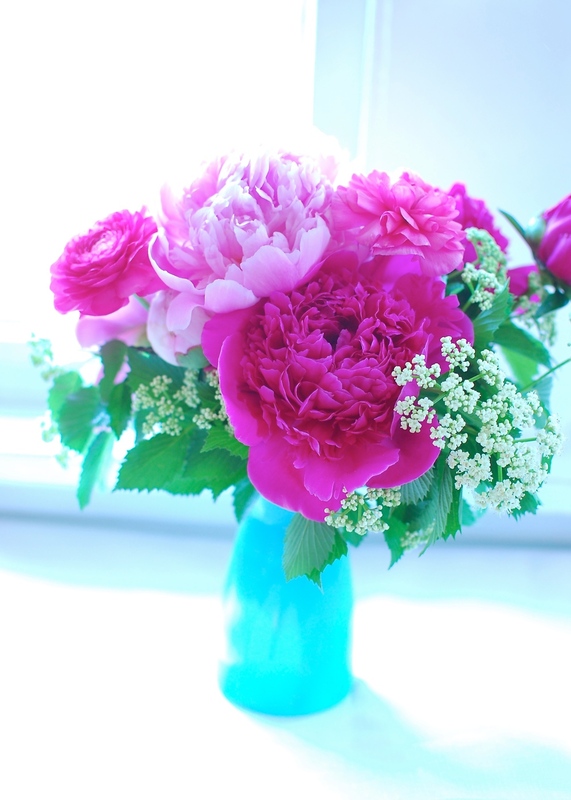 I went back to my favorite vendor (www.petalsfarm.org) at the Oak Park Farmers Market this past weekend and got more gorgeous peonies. How can I resist, really!? I'm kind of obsessed with this last arrangement and may have taken too many photos, so please forgive me. And, I got these really cool icy-blue frosted vases that were perfect with the flowers I got. Some of the arrangements are just peonies then I started to add. One is ranunculus and peonies and the other has ranunculus, peonies and some greenery. What do you think? Which one is your favorite?